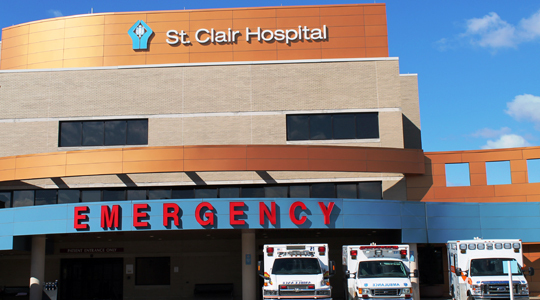 St. Clair Hospital values the crucial role of emergency medical services (EMS) to the community. The Hospital views EMS providers as an integral part of the emergency medicine team. St. Clair’s board certified Emergency Medicine Physicians work closely with our EMS professionals and provide real time medical command consultation as needed. The Hospital also provides continuing education opportunities to help ensure the latest advances in emergency medicine are made available to its EMS partners. The unique partnership between St. Clair and its EMS providers ultimately results in higher level of care for the entire community.